I hope you all had a wonderful Thanksgiving! I gave thanks to still having my parents with me (93 and 95 and still going pretty strong!). I don't cook big meals so our annual Thanksgiving feast is always celebrated at Mimi's. They put out a gorgeous Thanksgiving spread and their stuffing is to die for! Needless to say, it was a perfect day. On Black Friday, I went out and bought an Ott floor lamp. If you don't have one, I suggest you grab one at Joann's (they are now 50%). The difference it makes while scrapbooking at night (or any time of day) is amazing. I got the floor lamp and the desk lamp for $65...the best Black Friday deal I've had in a long, long time!! 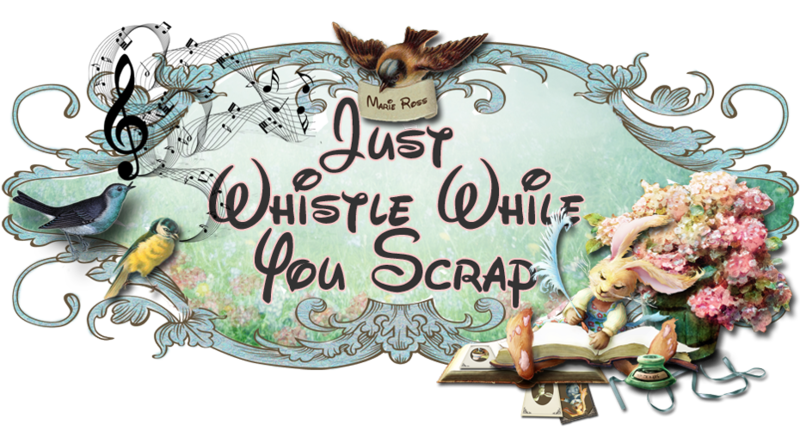 The rest of the day I spent at my LSS, Scrapbooking Made Simple (shout-out to Stacey!) where they had a fabulous Black Friday Sale. If you have never gone to SMS's website or to the store itself, do so now as a Warehouse Sale featuring Spellbinders will be happening on December 8th! Also, Stacey has the best You Tube videos out there. Sign up for the store's email and be part of the fun! New Challenge starts today at Cards by Lady Anne's! Click on Challenges on the top of Lady Anne's page, then click Sentimental Friday Anything Goes also on the top. There you will see the monthly challenges. 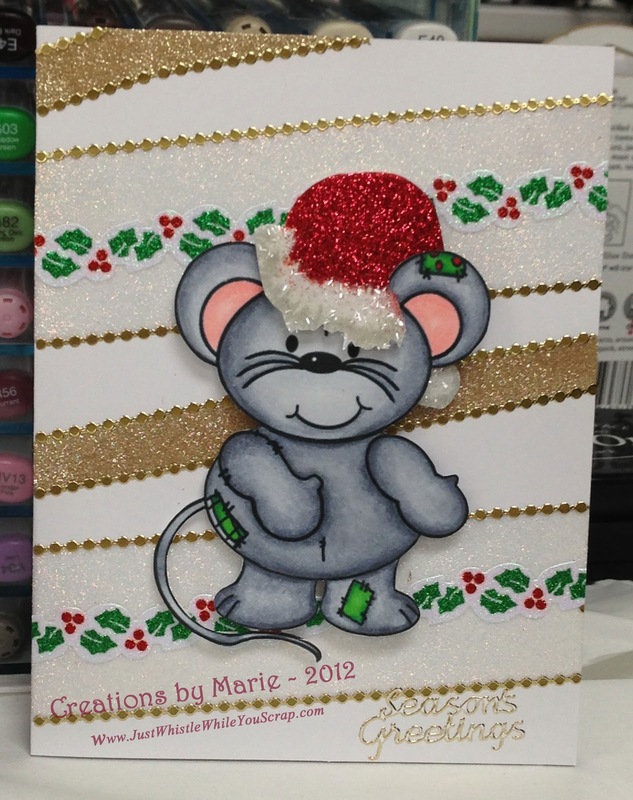 My card is Patch Mouse Getting Ready for Christmas (below). I love this little mouse. I looked for a Santa hat online and sized it to his head. I then took dimmensional glue and covered it with red glitter (Martha Stewart). For the brim and ball of the hat, I covered it with iridescent tinsel glitter which looks real upclose! I colored Patch Mouse with Copics using (C00, C1, C3, and C5). For the ears I used R00, and R20 very lightly. The background was done with tape and Elizabeth Craft Design Glitter Ritz (Warm highlight and Topaz) along with Elizabeth Craft Designs peel off stickers. I very much enjoyed making this card as it has more than one technique to follow. I love comments, so please leave your thoughts on the comments form. My Hannukah card should be up next week.